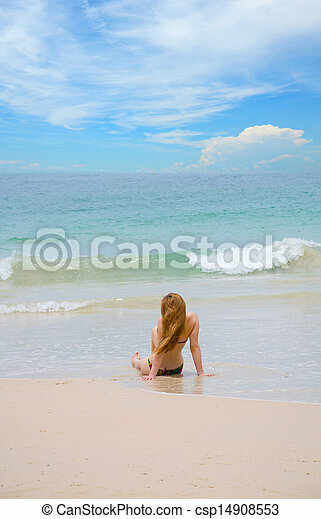 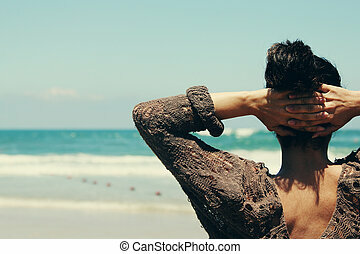 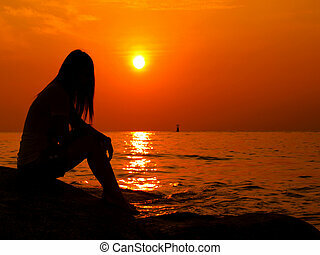 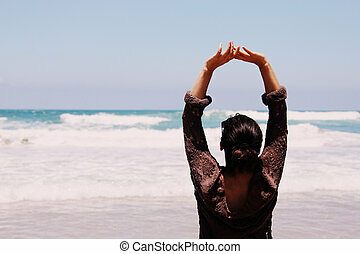 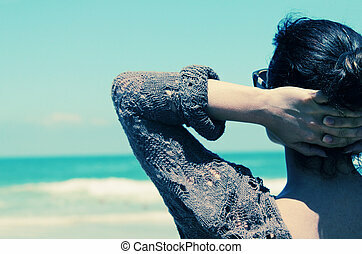 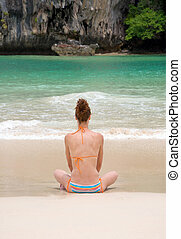 Woman alone sit on the beach. 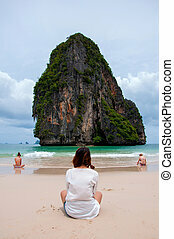 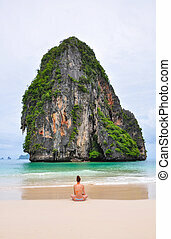 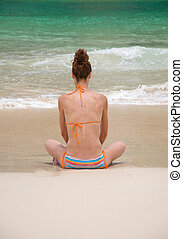 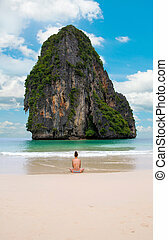 woman alone sit on the beach looking sea and island (Railay, Krabi province Thailand). 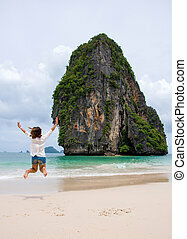 woman jumping on tropical Beach. 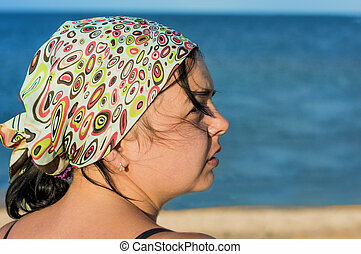 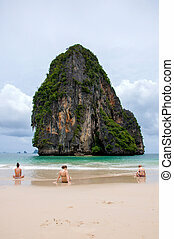 women sit on the beach looking sea and island (Railay, Krabi province Thailand). 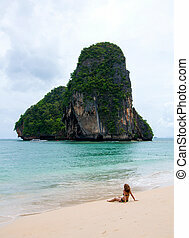 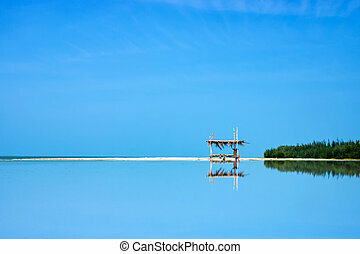 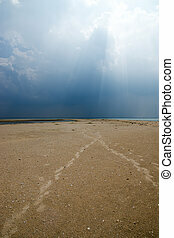 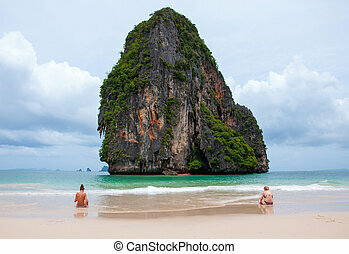 two women sit on the beach looking sea and island (Railay, Krabi province Thailand). 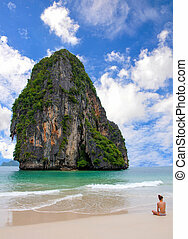 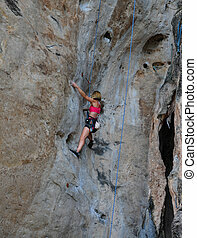 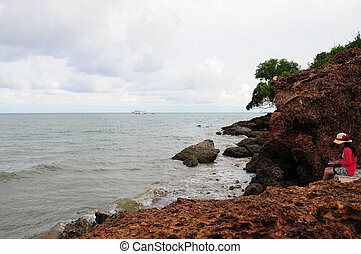 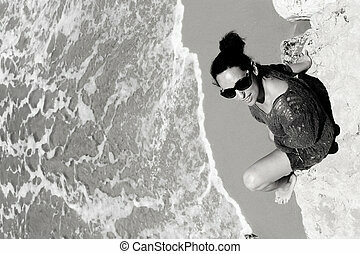 woman climbing on the rock route summer (Railay Beach, Krabi province Thailand).